Eye exams from your local ophthalmologist are crucial for great vision and optimal eye health. That’s why the office of Dr. Sina J. Sabet offers comprehensive eye exams that ensure your glasses and contact prescriptions are up to date, and your eyes are working at their very best. The consensus among eye doctors is that you should have a comprehensive eye exam once every year or two — once per year if you wear corrective lenses or have a history of eye-related health issues. Children should have their first eye exam at six months of age, another at age three and another when they start school. From then on, children without vision problems or corrective lenses should have their eyes checked once every two years until age 18. Why Choose Dr. Sina J. Sabet For Your Eye Exam? Board certified ophthalmologists and experienced eye doctors and staff. Thorough care for your overall health. Personal and attentive eye care for all of your needs. Highly rated team of optometrists and ophthalmologists across Alexandria. Affordable eye care and we work with many health insurance companies. There’s a big difference between vision screenings and eye exams: the former is designed to detect major vision problems and quickly and cost-effectively as possible, and the latter is a full-scale evaluation of vision, eye health, and potential health risks related to the eyes. Eye exams are the better choice by far, as they give you the bigger picture on the state of your eyes, and offer preventative measures that ensure your eyes are in great shape for years to come. Whether you’re visiting the eye doctor to update your contacts or glasses prescription, if there has been a change in your vision, or simply because it’s been a couple of years since your last exam, the process will typically be the same. 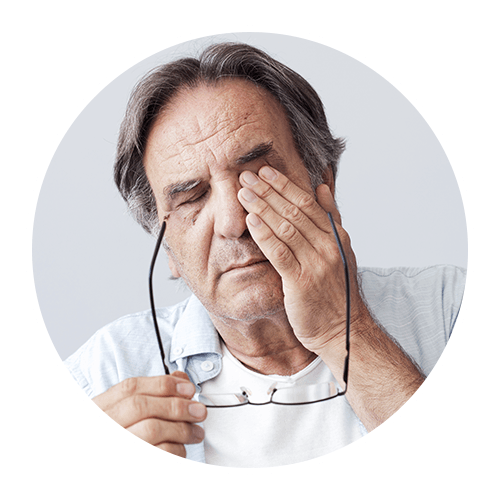 If you are experiencing pain or changes in vision, you may be given specific tests, but here’s generally what you can expect during your appointment. Before any actual tests, an optometrist will ask you questions about your family’s medical history — if anyone has had problems with macular degeneration, glaucoma, or retinal detachments, or has a history of high blood pressure, diabetes, or other heart-related issues — as well as ask about your own history. He or she will also ask if you need an update to your prescription. Eye Muscle Test: You will follow an object with your eyes and the eye doctor will evaluate the muscles that control the eye. Visual Acuity Test: The typical eye exam test where you cover one eye and read from a chart that is across the room with letters in descending size. You may also be asked to read from a card that is held at reading distance. Refraction Assessment: This is done in order to test whether or not you have a refractive error and will need contacts or glasses. This is done using a technique called retinoscopy, when a light is shined into your eye. Visual Field Test (Perimetry): This measures how strong your peripheral vision is. Will There be an Air Puff Test? And Will My Eyes be Dilated? Dr. Sina and his team often get these questions. Both the air puff test and having your pupils dilated can be uncomfortable for many patients, but the good news is that technology has advanced so that these procedures are not often necessary. However, it does depend on the reason for your eye exam and what parts of the eye need to be tested. When you call to schedule an appointment, feel free to ask whether or not these tests will be given. Overall, eye exams are nothing to worry about and your eye doctor will ensure that you feel comfortable throughout the appointment. If at any time you feel scared or nervous, just say stop and we’ll give you some time to ask any questions you have or to discuss any concerns. Contact us to schedule your eye exam today. Eye exams are important for your eyes — but they can benefit your overall health as well. Let’s take a look at some of the reasons why eye exams are important. Eye exams keep your vision sharp. A decline in vision because of an outdated prescription can affect your health, safety, and overall enjoyment of life. If your vision becomes blurry, you’ll have trouble reading books and menus, seeing oncoming signs and objects when you’re driving, and taking care of common household tasks that require proper hand-eye coordination and precision — dicing an onion, for example. Getting an annual eye exam ensures your corrective lenses are always giving you the sharpest vision possible — and if you’re someone who doesn’t use corrective lenses yet, an eye exam could expose a newfound need for corrective lenses as well. Your vision should be as high-def as possible — talk to your eye doctor today. Eye exams detect common diseases. Diabetes – If you have diabetes, the small capillaries in the retina will leak blood or a yellow fluid. This is often a sign of diabetes and diabetic retinopathy, and it’s easily diagnosed with a comprehensive eye exam with your ophthalmologist. Hypertension – Blood vessels in the eyes can kink, tear, bend, and break. It’s a classic sign of high blood pressure and hypertension. Thyroid Disease – Bulging eyes or protruding eyeballs are the telltale signs of Graves Disease or Thyroid disease. Autoimmune Disorders – Inflamed eyes are a common sign of Lupus and other autoimmune disorders. High cholesterol – A cornea with a yellowish appearance or a yellow ring around could show the presence of high cholesterol in the body. Tumors – Droopy eyelids and misshapen pupils could be warning signs of a neck tumor or aneurysm. Cancer – Basal cell carcinomas can appear in the eyelid and make their way to the brain — a common sign of skin cancer. Irregular eye structure could be a red flag for ocular melanoma, which develops in cells that make pigmentation in the eye. Eye exams can eliminate problems before they happen. The earlier your ophthalmologist catches signs of any of the diseases listed above, the easier time you’ll have dealing with these diseases. If you skip annual eye exams, you might be letting harmful health problems slip by unnoticed in your body. Don’t wait — schedule an appointment and keep your eyes healthy. Sina J. Sabet MD is your ophthalmology expert, with years of experience performing comprehensive eye exams and helping patients with their eye health and overall wellness. Schedule an appointment for you and the whole family, and take care of your annual eye exams today.